Welcome to 'Journeys of heart and mind'. I hope you'll enjoy your visit. You'll find contact details and some background information about me here. The rest of the website has a wide variety of links and articles. 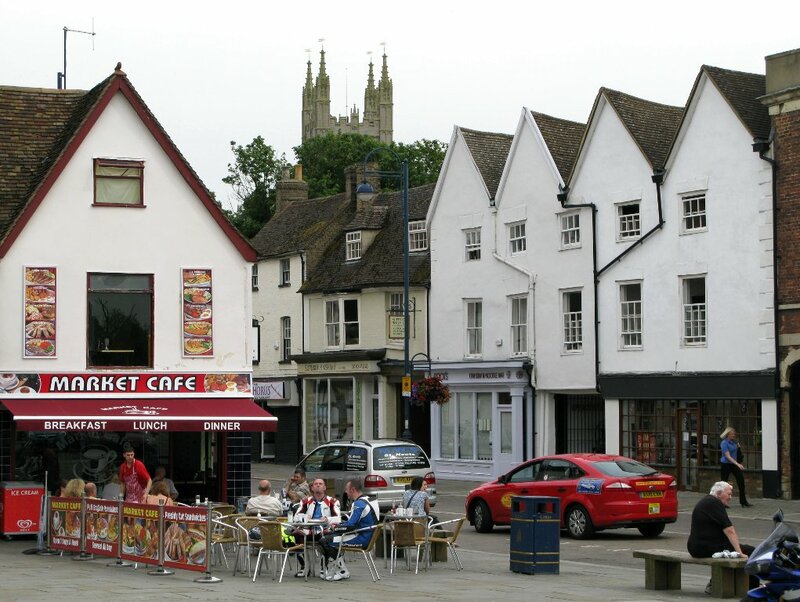 My home town is St Neots in Cambridgeshire, UK. It's a typical English market town and has a population of around 30 000. I'm retired now, but used to work for Unilever on web technologies and before that worked at LARS, a horticultural research station near Bristol. I'm married to Donna with two daughters, two sons-in-law, three granddaughters and a grandson who all live near the beautiful city of York in the north of England. I follow Jesus and recognise him as my King. I'm in regular contact with other members of his kingdom in this little corner of England and we meet to share our lives and hearts together as often as we can. There's no organisation or structure beyond an open network, we are just one big, happy family. 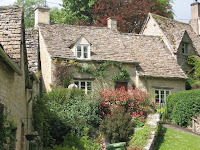 I was born and brought up in Cirencester, a pretty Cotswold market town with a history back to at least Roman times. I'm one of four children; Dad helped with the family business and Mum was from Northern Ireland. School was followed by four years at Bath University. For much of my life I worked at Long Ashton Research Station (LARS, now closed). I began there as a biologist working on willow and poplar growth, then moved to work on plum and apple pollen tube growth and fruit development, next via plant hormone research to electron microscopy, then X-ray microanalysis, and eventually computing. Today, the site near Bristol is a housing development. I left LARS in 1998 to work as a web developer for Unilever. I retired in 2010. Most people think in terms of an old building with a tower, but that's not really what I mean by 'church'. For me, church is a community, people interrelating with and caring for one another. The essence of church is that it is active in society, representing Jesus in daily life. I'm heavily involved and love every minute of it. You might be wondering about the domain name 'Scilla'. This is a Latin term for a kind of bluebell. Donna and I love bluebells and our front garden is full of them, growing as a carpet in the shade of trees and bushes every spring. When we chose a domain name for this and other websites, we thought 'Scilla' would be just perfect. We live in a violent world. Today's news that United States forces have killed Osama bin Laden in a reinforced hideout in Pakistan just emphasises that. What are we to make of it? Violence seems to be everywhere. A civil war is under way in Libya, pirates are active off the Somali coast, in Iran retribution is quick and severe for those who dare to oppose the authorities, the battle continues in Afghanistan and Iraq is racked by shootings and bombings. Closer to home trouble is stirring again in Northern Ireland and in Bristol there have been clashes between protesters and police over (of all things) the opening of a small, local Tesco shop. Let's face it, there's nothing new about violence, it's as old as the human race. But it certainly hasn't gone away! 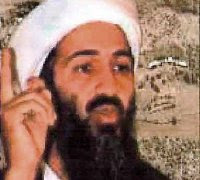 The latest news about Osama bin Laden's death is astonishing and raises many questions. You can read some of the background in an article by the BBC's Mark Mardell. No doubt more detail will emerge over the coming days and weeks. There is also likely to be strong reaction from Pakistan and perhaps from Russia and China too. The principles - But what about the principles involved? For those with no faith it just comes down to a matter of morality and personal opinion. Is it reasonable to kill someone who has done bad things? Is it acceptable to mount a raid into another country, even if the purpose seems noble? Everyone will have opinions on these matters and we will not always agree. Many religions teach that violence is wrong or that it is justifiable only in certain circumstances. Love and forgive - But what for those who follow Jesus? Three things, I think. First, it's clear that we are to love the Father. We are to be like him, pouring out love on one another and even on our enemies. Yahshua told Peter that those who choose to live by the sword will die by the sword. It is surely better for us to die by love than to die by the sword. As we judge, so will we be judged. 'Be like your Father in heaven', is not a suggestion - it's a command. But be warned, loving may cause us to die. If we truly love we will certainly die to self. But we may also die physically in situations where violence might have 'saved' us. It's better to be saved by grace than to be 'saved' by violent action. And secondly, we are to forgive as we have been forgiven. If someone murders my wife or my child I am to forgive them. That's hard, isn't it? We are not called to seek revenge or punishment. We are not even called to seek justice. We are called to forgive. Forgiving a wrong often seems like excusing evil. In fact forgiving and loving our enemies pours fire upon them. Forgiving is harder than lashing out with the tongue or with the fist or a firearm. Grace and patience lead us to love and forgive. Anger leads us into sin. The actions of others - And the third point is this. Not only are we to forgive our enemy, we are not to judge others who make different choices. So what about Osama's death? It's not for me to say. All I can say is that it would have been entirely wrong for me to kill him, but others must decide for themselves. My Father gave us freedom of will, freedom to choose. He expects me to extend the same freedom to others. I may not judge, I may only love and forgive.